Are Isotec Security Systems Right for Your Building? Physical security is critically important for countless industries; many institutions are unfortunately under constant threat and must invest heavily in measures to ward off intruders. These organizations have traditionally relied on security guards, and while guards will likely always remain invaluable to safety procedures in the workplace, modern access control technology can assist or replace them in many instances. Isotec’s high-tech doors and other systems are trusted not only by banks and courthouses, but also by highly sensitive government buildings, and many other businesses that find themselves the targets of intrusion, such as cannabis dispensaries and pharmaceutical laboratories. Isotec’s Safety Entrance and Exit Lane Breach Control systems have been designed as Anti-Terrorism Technologies by the U.S. Department of Defense, indicating the level of confidence that major institutions have placed in these products. Isotec’s security doors combine impenetrable construction with high-tech engineering. They can be programmed to automatically read entrants’ credentials and control access, and even to handle special events like evacuations due to a fire alarm, power outages, and lockdowns. Isotec offers a wide variety of construction materials and technologies, but we typically use extremely strong magnetic locks with over 1200 pounds of “pull force.” As for our identification technologies, we at Isotec can design solutions that allow access using custom ID cards, PIN numbers, and even biometric identifiers. 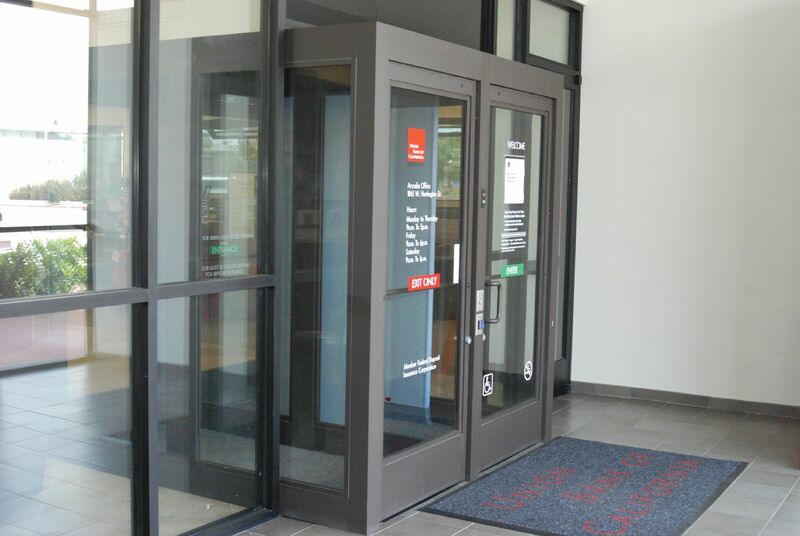 Isotec’s main products are our custom mantrap systems, also known as interlocking doors. These are a set of two doors, with typically at least one locked and requiring credentials to enter. However, they could be programmed several different ways, and we customize each order depending on the client’s needs. A familiar example of a mantrap system can be seen at many banks; after hours, customers can use their ATM card to access the machine, but only employees with the key can enter the main building. The most secure variation requires a separate piece of ID to pass through each door, perhaps under the supervision of a guard. Another significant Isotec product is our exit lane breach control door, a fortified exit door that doesn’t allow re-entry. This resolves a weak point in many buildings’ security, and one that typically doesn’t require the attention of a guard; Isotec points out that assigning a guard to monitor an exit 24/7 can waste perhaps $250,000 each year. Our team at Isotec also offers solutions to address “tailgating” or “piggybacking” – entrants passing through interlocking doors together, using the credentials of only one. They’ve developed systems with sensors to detect multiple users attempting to enter together, and can forbid access or alert security personnel. Other advanced Isotec products include doors with built-in metal detectors and ballistics doors that can withstand the impact of bullets and explosions. Our metal detector doors can be tuned to detect bits as small as a flash drive or half a razor blade and can be programmed to prohibit access or alert guards if set off. Isotec produces seven different models of ballistics doors, the strongest of which are trusted by the U.S. military and can absorb rounds from AK-47s and other assault rifles. Isotec’s products guarantee the highest possible level of security for any building, for significantly less than the cost of employing guards. Isotec’s doors and other products are trusted by countless municipal buildings, banks, and transportation hubs, and even by the U.S. Secret Service and military to protect some of the most valuable targets on earth. Contact us today to schedule a consultation and learn more about how modern technology can improve your workplace’s safety procedures.